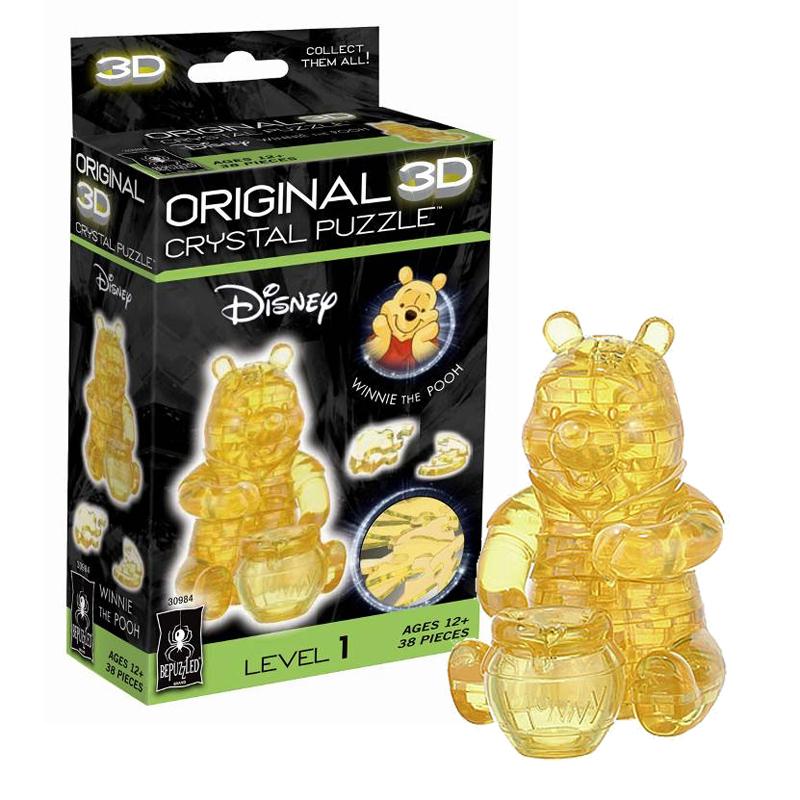 3D Winnie the Pooh Crystal Puzzle | Embark on a new adventure with Winnie the Pooh! Tease your brain with this 3D puzzle! Give puzzling a whole new dimension! 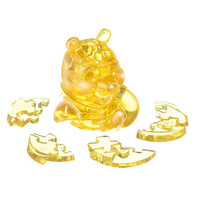 It's time to embark on a new adventure with Winnie the Pooh and his honey pot! 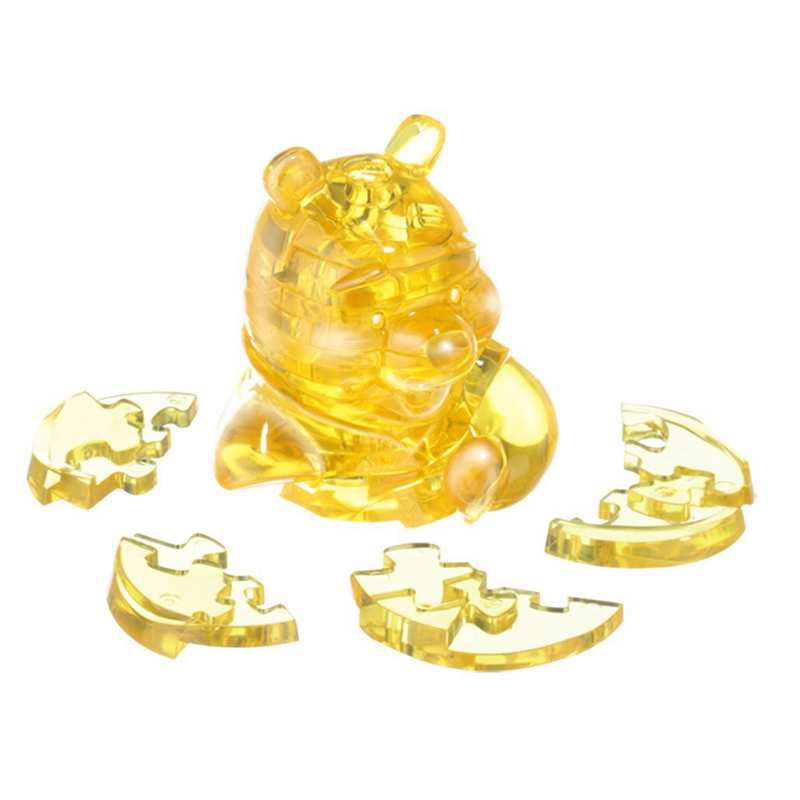 Offering a unique and fun challenge for all manner of puzzle lovers, this one puts a new twist on the basic jigsaw as you assemble 38 transparent plastic pieces to create a beautiful 3D piece or art to display in your home. The puzzle can be quite a challenge, but if you follow the instructions and arrange the similar pieces in numerical order before getting started, you'll save yourself many hours of frustration! It's a beautiful keepsake for Winnie the Pooh lovers of all ages.